Kent Willis, the Mississippi Braves pitching coach, was named the Atlanta Braves’ new minor league pitching coordinator. Willis replaced Bill Fischer, who left to replica watches join the Kansas City Royals’ organization in a similar capacity. Kent spent 16 seasons as a coach in the Braves’ organization. 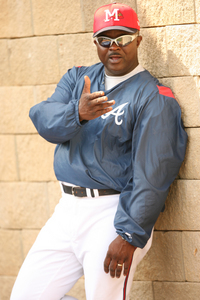 He pitched in the minor leagues for 6 years with the Reds, Royals, and Expos before joining the Braves as a coach in 1995. Kent coached in the rookie leagues for three seasons before moving up to coach in the South Atlantic League. Kent was in Macon for four seasons before the Braves moved that franchise to Rome, where he helped them in 2003 win the Sally League title. Kent then spent the next two seasons as the Mississippi Braves pitching coach. Chuck James, Kyle Davies, Macay McBride, Joey Devine, Blaine Boyer, Julio Vazquez, and Kris Medlen are 7 of the pitchers, with a host of others, on the Atlanta pitching staff that were greatly helped by Kent Willis. While Kent was talented enough to coach in the major leagues, his success at teaching the younger pitchers how to pitch was a big reason the Braves gave him the head pitching coordinator job. Kent then set some pitching philosophy throughout the entire organization, working with the rolex replica other pitching coaches at the individual clubs to help in the development of the players. He also acted as a roving pitching instructor and visited with all the minor league clubs during the season. In spring training, Kent developed the pitching programs that helped prepare the young prospects for the season. Many in the Braves front office believed that Kent would one day be a major league pitching coach, after helping in the development of the young pitching prospects.Kent currently works as an investigator with Creasey Law Office, PLLC. He has a daughter, Kenyatta, and a son, Cario, and two grandkids, Cameron and Karsyn.